Debonair Devices Limited has launched a new dual-SIM android tablet computer in Nigeria. 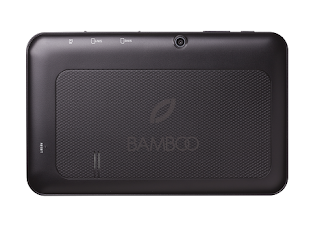 The tablet, "Bamboo" offers real-time, on-demand access to content, the internet, computing and communication tools, and high-quality services. The tablet features 7.0inches capacitive touchscreen, 1GB RAM, 16GB internal storage, 2.0 MegaPixels primary camera, 0.3 MP secondary camera, Mini-USB port and bluetooth. It supports MicroSD and GPS navigation. It comes with a dual SIM support to allow you make phone calls on your tablet with one SIM and to browse with the second SIM. The Bamboo D700 comes not only with radio features, but also TV features that allows you watch terrestrial television without any additional hardware. The device receives signals with the aid of the internal aerial that surrounds the device. Powered by Android 4.0 Operating system, you can enjoy a variety of apps on the tablet from the google play store free of charge. According to the manufacturer, the tablet was developed to focus on emerging markets with features tailored for Youth unemployment, Female empowerment, Growth of small & medium scale business, Government: Security, Education, Agriculture and Local content. The price of Bamboo D700 tablet in Nigeria is N49,500 as at the time of publishing this post. It will come with charger, earphones, car kit, Bamboo holder(car/table leg stand), and external device connection cable. If you buy it from Airtel shops, you will get free Airtel SIM card, 100MB of data, 20 Free SMS, & 20 minutes voice calls every month for 6 months. You can order for it online at Bamboo website and get free delivery anywhere in Nigeria. You can also buy it from Bamboo dealer shops accross Nigeria. If there's a problem with your Bamboo D700, the manufacturer claims they will send someone to your home or office to pick up your Bamboo tablet and return it to you once they've repaired it. This exceptional support service is in addition to 12 months warranty provided on the Bamboo D700. Once I get a hold of the device, I will compare it with the Tecno Phantom Pad and share the experience with you.